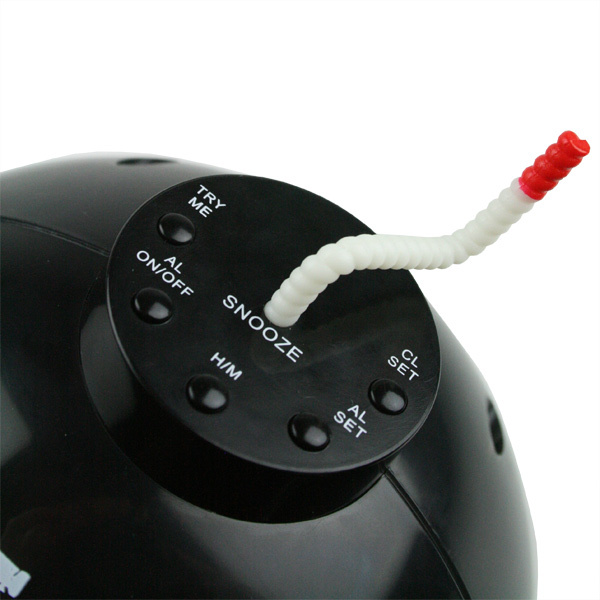 Some of us are larks and some are owls, if you happen to be an owl (type person) or a student, or someone partial to the odd hangover on a weekday, this is a necessary piece of bedroom equipment! 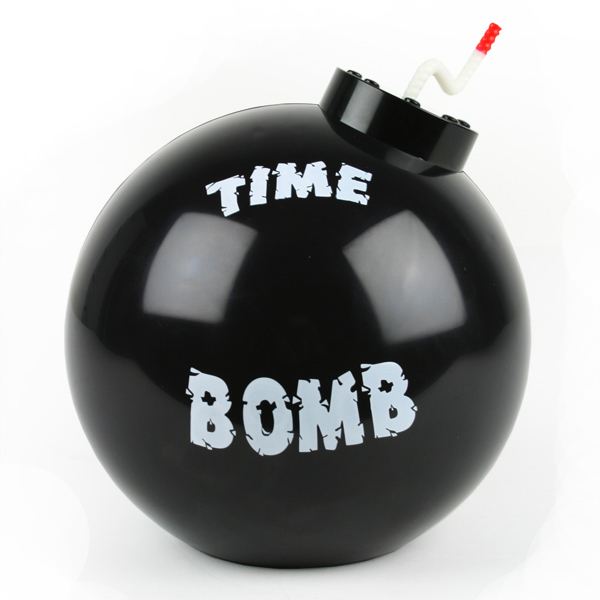 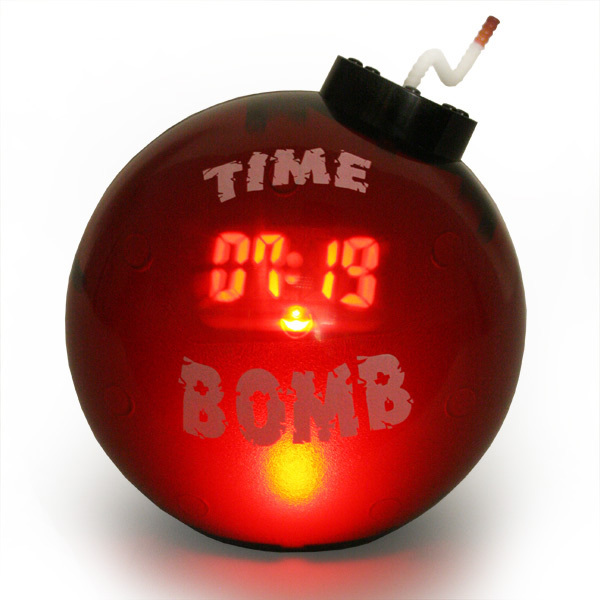 It is easy to set the time and alarm, then to view the time simply press down on the 'bomb' and it reveals a digital display (cleverly projected from inside the bomb). 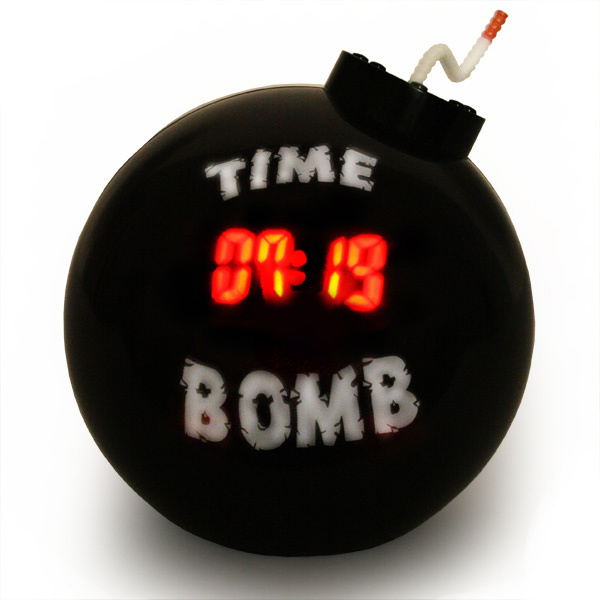 When sleepy time is sadly over, just pull the fuse to stop that outrageous noise!